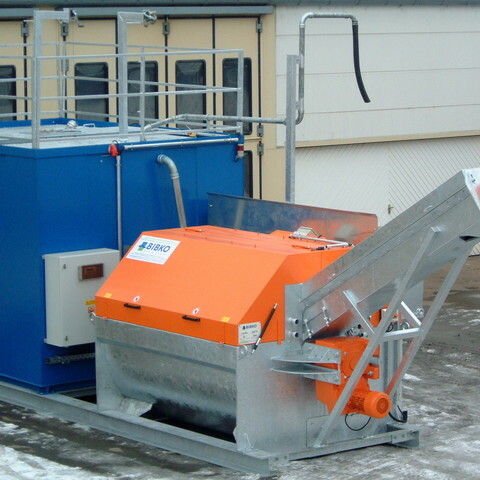 The BIBKO 4000 is a trough-washer system rated at 40 cubic yards per hour. 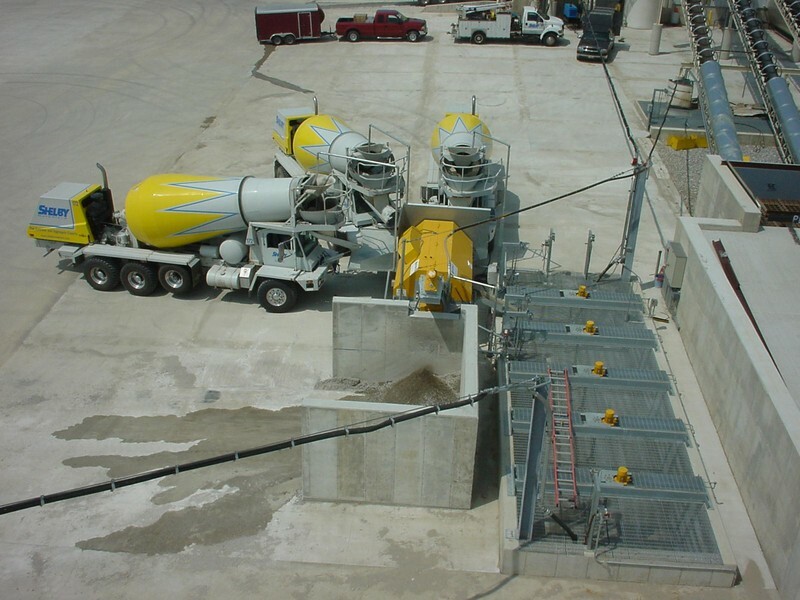 It’s appropriate for ready-mix plants with more than 20 trucks and production over 100,000 yards per year. Our highest-capacity reclaimer, it can be enhanced further with the BIBKO Buffer to take multiple trucks in stride. Plus applicable tax and freight. 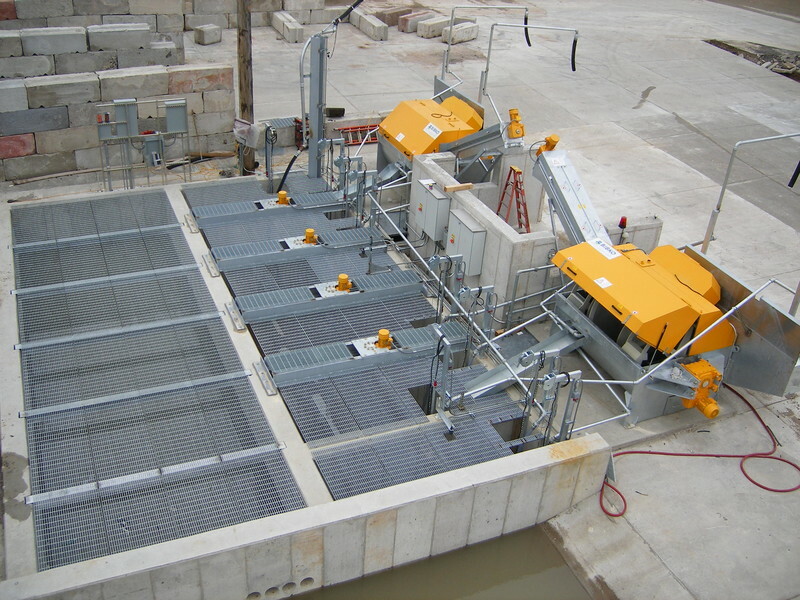 Fully galvanized steel construction eliminates corrosion. 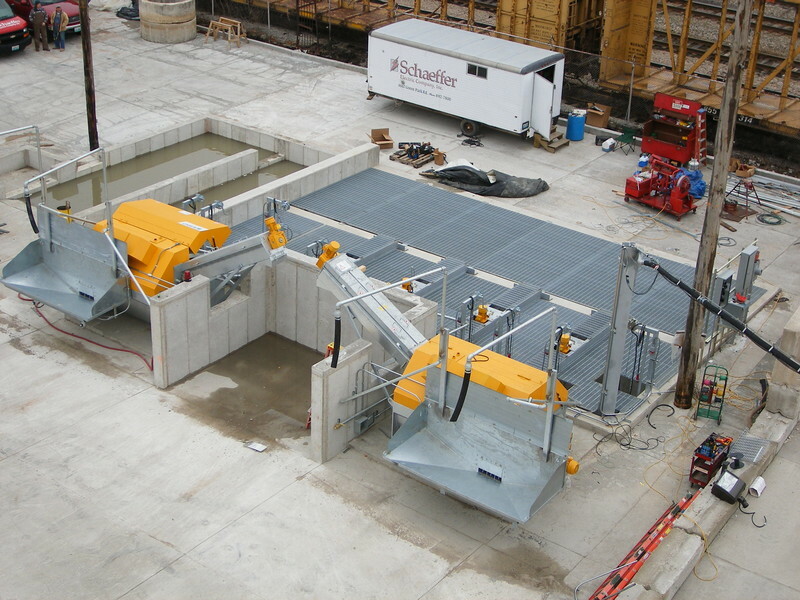 Material discharge adjustable from 4'-0" to 8’ 2”. Easy maintenance access via easy-open cover. 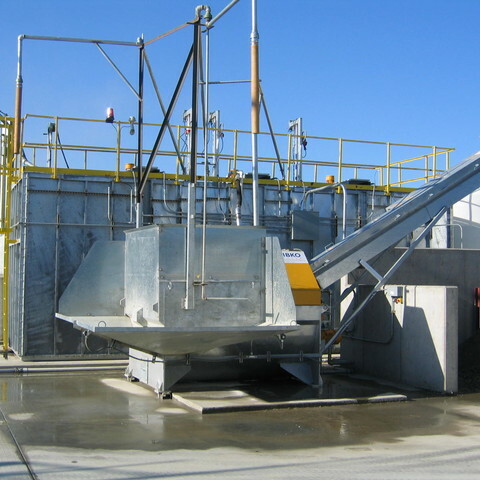 Large feeding hopper, up to 24'-0". Bearings positioned outside water area. 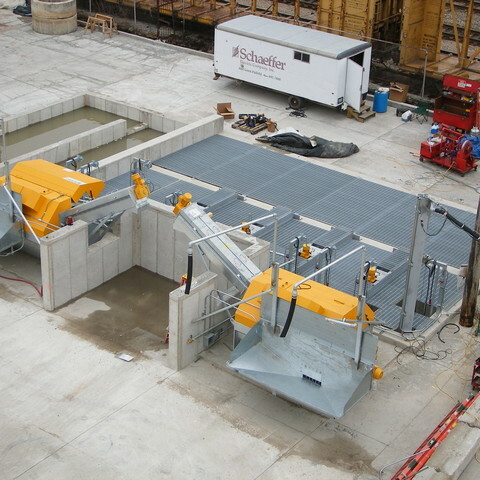 Dual BIBKO 4000 Concrete Reclaimers for 80 cubic yards per hour of processing capacity. 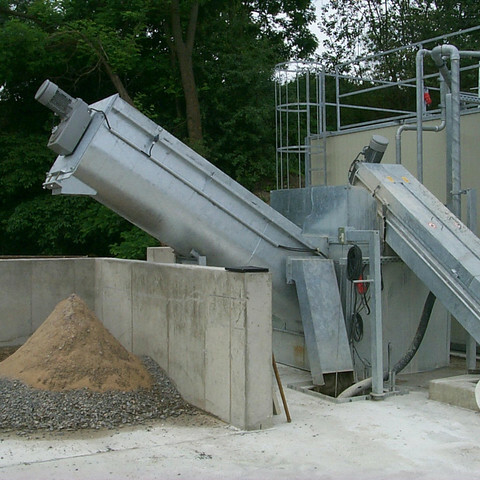 The BIBKO Model 4000 comes complete with galvanized steel body, dual wash chamber with patented discharge conveyor, single truck washout pump, automatic slurry water handling controls, slurry agitator system, electronic controls, wiring, and plumbing. In addition, every new BIBKO reclaimer comes with free training for your staff in all aspects of operation and ongoing maintenance. 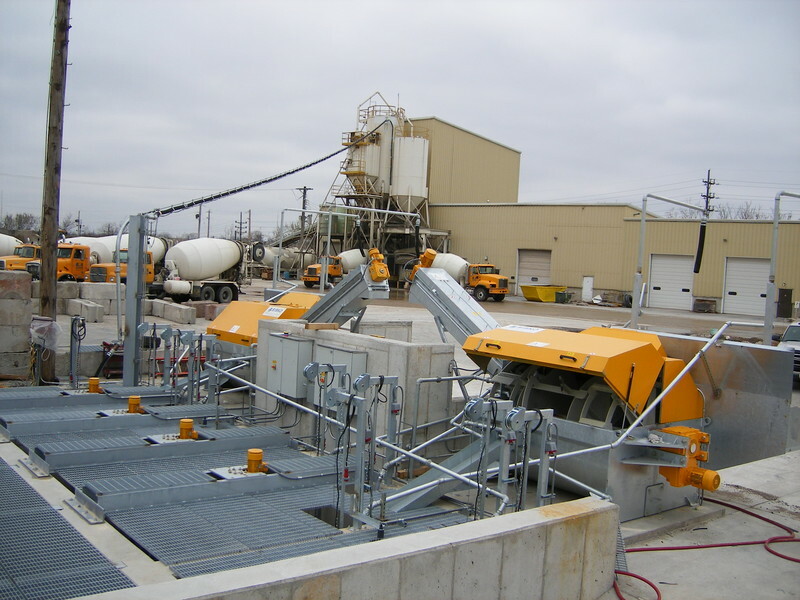 You can add a variety of equipment to the BIBKO 4000 to extend its capabilities, including longer discharge conveyors, above-ground slurry tanks, concrete boom pump washout with discharge conveyor, larger feed hoppers, multiple truck rinse stations, screen units, auto density management system, water weigh batcher or slurry water meter, and external buffer.